Have you heard the news? When you thought the Dollar Tree couldn’t get any better, they do! 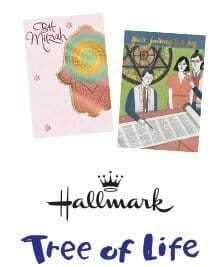 The new items at the Dollar Tree are a line of greeting cards by Expressions from Hallmark and Heartline a Hallmark company! I buy all of my greeting cards at the Dollar Tree. I have for years. Why spend as much money on a card that could have gone into the gift? Am I right? If you haven’t quickly figured it out, I’m a cheapskate. I’m always looking for a good deal. 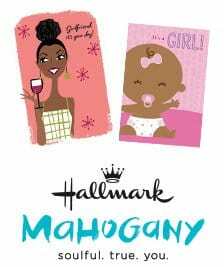 As of today, August 30th, over 6,500 Dollar Tree stores nationwide will carry Expressions from Hallmark cards for $1 each. 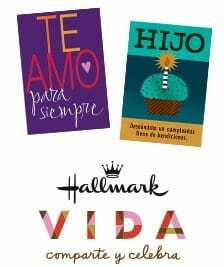 The Heartline a Hallmark Company will be 2 for $1. There will be hundreds of new greeting cards to choose from; there will be a card for every celebration, You can not beat the price. About the cards I am lucky enough to have gotten my hands on some of these GORGEOUS cards. Hallmark does not disappoint! The cards are great quality as if they came straight out of a Hallmark store at the mall. There are many different styles and for every occasion. I’m going to show you a few of the cards I have and give you my honest opinion about them. The Expressions from Hallmark cards are $1 each and worth every penny. You wouldn’t expect the quality to be so excellent for such a low price. I think before Dollar Tree came around people thought cheaper cards were cheaply made cards with bad graphics and weird sayings inside. I’m going to show you a couple of my favorite ones from the Expressions from Hallmark line. I would give this birthday card to a neighbor, co-worker or anyone for that matter. I love how festive the picture is on the front. I like that it fills the whole card. The foil lettering and glitter add just enough POP to where it doesn’t cheapen it. The birthday banner is a nice touch and is very trendy right now. Love it! Now you know I can’t pass up the Disney theme. How awesome is this?? Cute, cute, cute. There isn’t any glitter or foil on this one. It doesn’t need them. The vibrant colors say it all! I think this card is not only great for a little girl’s birthday, but I know a lot of grown-ups that would be tickled to death to receive it too. The greeting inside brings a smile to my face every time I read it. Awesome! I see a pattern here. All of these cards have impeccable quality. I live for the greetings inside of them. Nothing falls flat here! When I am looking for a gift and a greeting card for a particular person, I always try to match the gift and card to their personality. That’s why I wanted to show you this funny birthday card. I seek out the funny cards regardless of the occasion. Like I said before, though, I match the card with the person’s personality. For instance, I give my Mom a more thoughtful heartfelt card. She likes the sappy stuff. It’s also my way of letting her know how much she means to me and how much I love her. I guess I’m a little too when it comes to the people I love. That is what is so great about all of the cards; there is something for everyone. Check out the cow on this card. I laughed the second I saw it. I had to show you this adorable card that will congratulate the arrival of a new baby. I think this would be a great card to give a new Mom at her baby shower. I am all about the glitter on this card, and glitter in general because that’s how I roll. When I first started handling the cards with glitter, I instantly thought “This is going to get all over the place.”, It didn’t. I have found a trace here and there, but nothing major. Have you ever handled those cards (or received one) that all you do is open them and you see glitter all over the house for weeks? For real! It has happened to me! None of these have done that, and I have looked through them several times since I got them. Yes, they are that cool. Yes, there are more! Select stores will have four more additional brands. These brands are all 2 for $1. 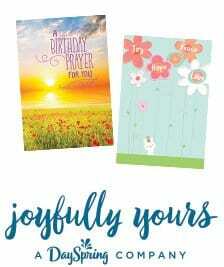 The brands are: If you don’t have time to go to your local Dollar Tree to see these beautiful cards you can always see them online here.